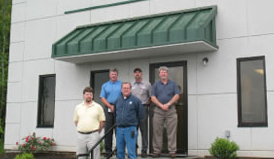 Air Compressor Service Virginia | Lewis Systems, Inc.
For vacuum pump and air compressor service in Virginia, call Lewis Systems, Inc. Lewis Systems factory trained and certified technicians are backed by over 30 years experience in the compressed air and vacuum industry. Let the Service Team service and maintain your refrigerated and desiccant compressed air dryers; identify, troubleshoot and repair your compressed air dryer; identify any potential system problems and advise how to make corrections. Lewis Systems also has a large line of compressed air filtration products to better protect your equipment or processes downstream of the compressed air dryer. as well as over 45,000 square feet of filters, lubricants, & new & used parts to help keep your Lynchburg business on the go!